New listingDell Inspiron 6400. SP1. 250gb hd. 2gb ram. Dual Core. Win 7 pro. Dell charger. Mouse included. New install. Microsoft Windows 7 Professional. Model: Latitude E7240. Hard Drive: 256GB SSD (SATAIII). Make: Dell. 72% Battery Health. 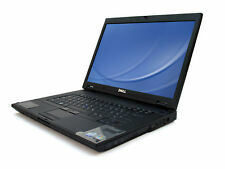 Dell Latitude E6330 Laptop. Laptop Components. In reality this is likely to be within 24 hours dependant on how busy we are. You may collect. Variation in these will invalidate warranty. Extended warranties available. Make/Model Dell Latitude 2120. Hard Drive 250GB SATA Hard Drive. Webcam Yes. Will the laptop I receive have a UK Keyboard?. 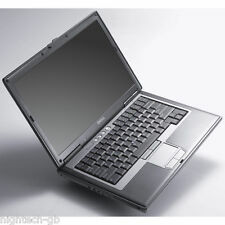 Dell Latitude E6400 Laptop. 25 0GB HDD. If you have any issues with your item and you are unsure if it is covered in the warranty. Software Issues. The warranty DOES NOT cover Hard Drive Failure. Hardware Failure. Dell Latitude E5410 14.1" Laptop. We are I.T Recyclers based in the West Midlands. Laptop Components. In reality this is likely to be within 24 hours dependant on how busy we are. You may collect. Variation in these will invalidate warranty. Dell Latitude E6410. Win7 Lic Key supplied butNOT installed. Crack on corner of bezel. Ending 28 Apr at 10:12PM BST9dCollection station availableType: Notebook/LaptopBrand: DellProcessor: Intel Core i5 1st Gen.
I7-3540M @ 3.0GHz - 8GB RAM - 13.3" LCD - 256GB SSD . DVD±RW Writer - USB 3.0 - HDMI - Webcam. Price has been adjusted to reflect this. HDD Hard drive - 250GB. ABOUT LAPTOP : Dell 1545. Refurbished laptop. Device fully tested, fast & stable functioning. Overall device in good, clean condition. Used batteries are not covered, under our warranty. Dell E5500. Optical Drive DVD RW. Our range of computer system are suitable for professional and students alike. VLC Player- Good For Watching Movies. Hard Drive 250 GB. CHEAP 17" TFT Monitor - Assorted Makes- Acer Dell HP Hanns G (FREE CABLES). 17" Dell Precision M6400 core 2 duo 2.8GHz, 320GB HDD 4GB RAM Win 7 Pro SD Card NVIDIA GRAPHICS Works Perfect. Hard Drive : 320GB HDD. Keyboard Layout :UK (QWERTY) Version. 12 MONTHS WARRANTY. Warranty : 12 Month. Various :FireWire,VGA,Serial Port. USB Ports : 4. Webcam :NO. Brand: DellProcessor: Intel Core i5 1st Gen.
DELL LATTITUDE E6400. Hard Drive 160 GB. Our range of computer system are suitable for professional and students alike. Open Office- Good For Word Processing, Spreadsheets, Presentations, Graphics, Databases and more. Dell Latitude E6410. Win7 lic key with unit but Windows isNOT installed. Ending 28 Apr at 9:03PM BST8d 23hCollection station availableType: Notebook/LaptopBrand: DellProcessor: Intel Core i5 1st Gen. This laptop runs fine. It may require installation of new windows. 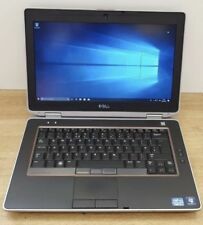 Ending 28 Apr at 7:41PM BST8d 21hType: Notebook/LaptopBrand: DellProcessor: Intel Core i5 2nd Gen.
Dell Mini Inspiron Netbook. Boots quickly, small & portable. Dell Latitude E6420 14" Laptop. DELL LATITUDE D620. Hard Drive 160 GB. VGA Port YES. Our range of computer system are suitable for professional and students alike. Optical Drive DVD RW. Open Office- Good For Word Processing, Spreadsheets, Presentations, Graphics, Databases and more. Fast 240GB Solid State Hard Drive. 240GB SSD Hard Drive. - 4th Gen Core i5 Processor. - Inbuilt Webcam. 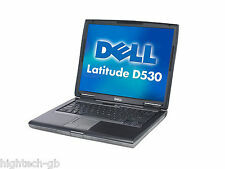 Dell Latitude E5440 Laptop in great working order. 8GB DDR3 RAM. Battery Life. 14" Widescreen. Dell Latitude E6410. Win7 Lic Key supplied butNOT installed. Dell Inspiron 1545 Laptop. All drivers have been installed. Laptop has Microsoft Office installed (Word, Excel, Powerpoint etc). The laptop battery may also need replacing due to not charging .